As a leading global manufacturer and provider of cash drawers, APG has one of the most rigorous manufacturing processes to ensure their cash drawers are rugged enough to handle the challenges of daily use and beyond. With a wide range of models and options to choose from, APG has solutions to meet the needs of fixed, mobile, and tablet applications. APG has been providing high quality cash drawers in POS systems worldwide for the past 35 years. APG drawers offer a wide selection of options for size, interface, color, and integration options to fit into any application with any currency. Add to this their extreme durability and you have a cash drawer you can install and never worry about again. For assistance finding the right APG cash drawer for your business, contact us at BarcodesInc. 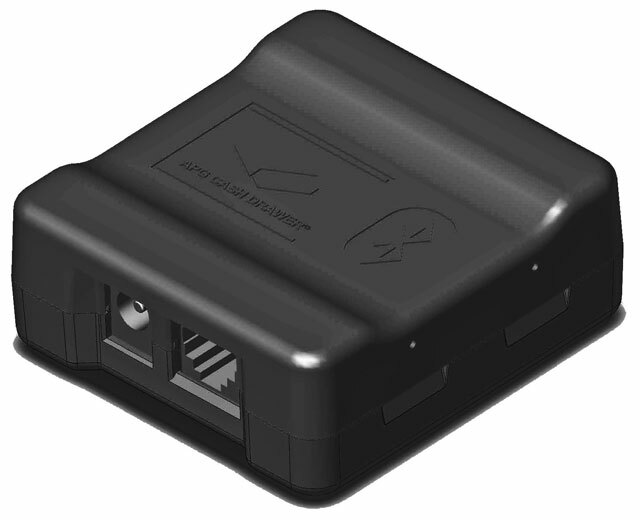 APG has officially announced the release of their new BluePRO Bluetooth interface for cash drawers. Now available for purchase, the BluePRO Bluetooth interface will enable cash drawer control via Bluetooth communication and allows retailers to wirelessly synchronize and create a one to one relationship between the cash drawer and tablet. The BluePRO interface plugs into most printer-driven cash drawers so it can pair with a tablet via Bluetooth connection. The range of this communication is purposely limited by the BluPRO device so that retailers can be assured of having only attended cash transactions. Operating System and device agnostic, the Bluetooth interface allows retailers flexibility with devices. APG will provide the necessary software development kit for integration on the Android and iOS platforms, with a Windows solution coming soon. Need a cash drawer to connect to your mobile application? APG‘s NetPRO is an ideal solution! In verticals such as gas stations, convenience stores, quick service food and more, the ethernet cash drawer communicates with mobile POS devices for normal drawer operation. This dynamic network device has a time and date stamp with every transaction, improving loss prevention functions by providing security camera activation, mobile alerts to store management for unusual events, remote tech support, asset management and much more.